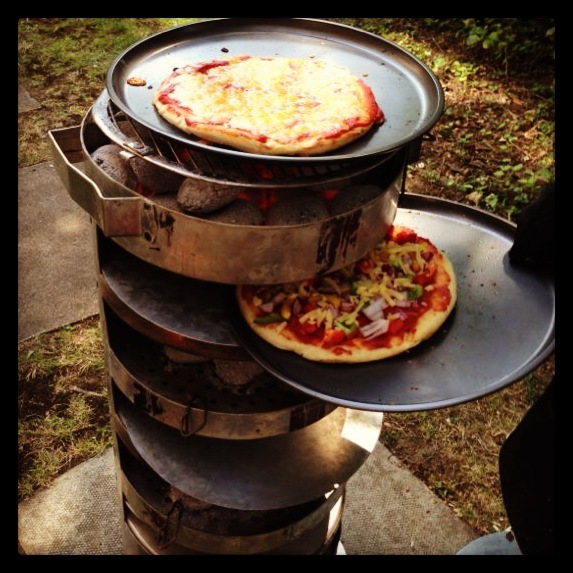 Home / Food / Jiko Pizza – Kenyan BBQ Party! All you need is fresh dough, tomato sauce and your choice of toppings. 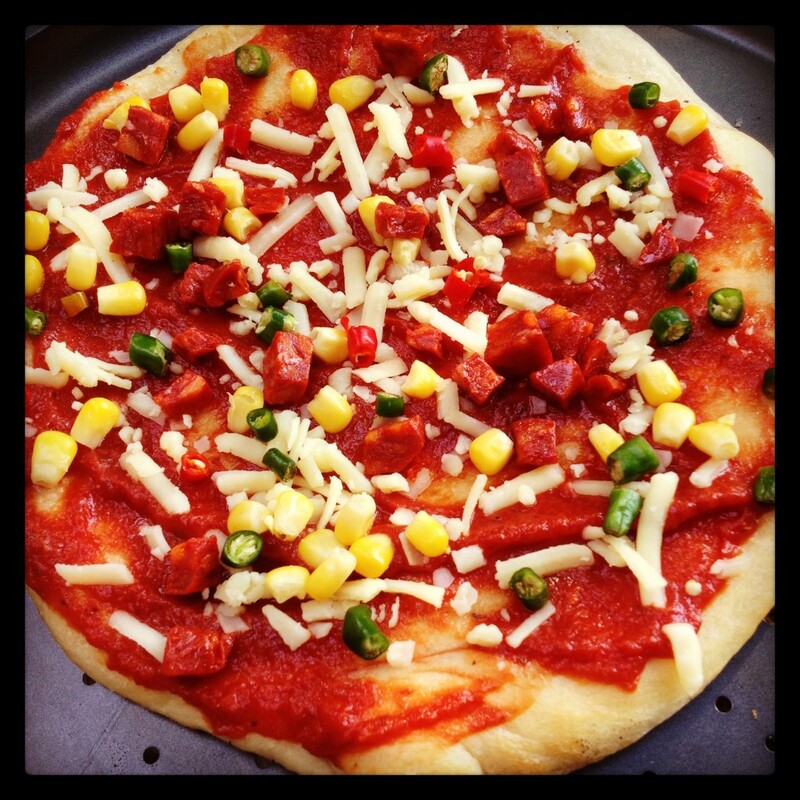 This was one of my favourites: cheese, chorizo, green chillies and corn! SPICY! Assembled pizzas go straight into the jiko and bake until beautifully crisp and done. Our jiko had 3 layers and could manage several pizzas at one time. Perfect for a jiko pizza party! Here’s another favourite from the day – spinach, mushrooms and cheese,drizzled with olive oil and baked until slightly burnt! 😉 Crispy perfection! Great company, delicious Kenyan pizzas and some very potent British Pimms made for a fabulous celebration. Can’t wait for the next jiko pizza BBQ! 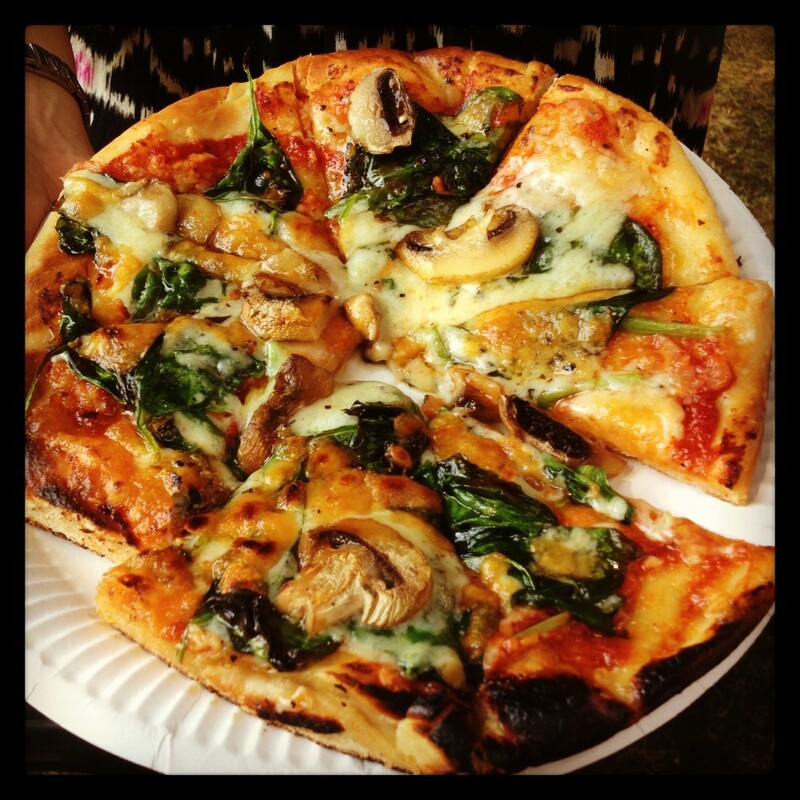 If you fancy trying out a Jiko Pizza, your best bet is to bag an invite to a Kenyan pizza BBQ or perhaps consider Kuki’s Catering to cater your next summer party! 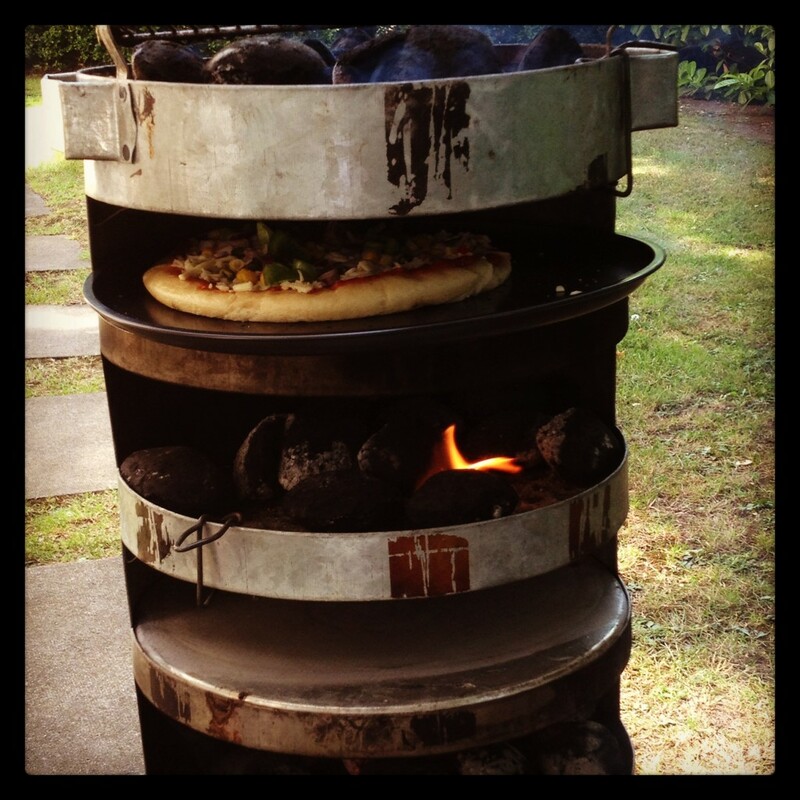 15 thoughts on : Jiko Pizza – Kenyan BBQ Party! I did put quite a few chillies on there, it was great! A truly different way of making pizza. I loved the spinach and mushroom toppings one! Super Pizza BBQ party ! Reem,Your blogs are great too! Keep it up! Thank you! Yes it was indeed a superb party! Loved all the pizzas! What a lovely idea. Brings back memories of Kenya when we used this jiko to make biscuits. Pizzas sound great!! Beautifully crisp and delish!! Ate so much that day!! I’m picking up the thread of a old post. Hoping someone might know – does anyone know where you can buy one of these in the UK. Hi Nish, thanks for reading the blog! My friend had his parents bring it from Kenya as he wasn’t able to find them here. You could perhaps try contacting Kuki’s Catering – http://www.kukiscatering.co.uk – they should definitely know for sure! Good luck with your jiko search and do let us know when you find one! Sorry for my late response on this – I have been away. You blog is very interesting and the fact I love food was a bonus! Thanks for your response on this – I did call them, but unfortunately they just said Kenya. Think I might have to just fly to Kenya and get one!